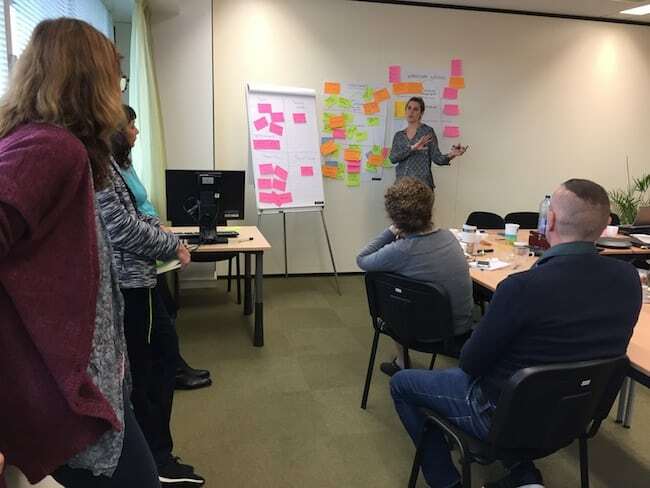 In the fall of 2015, the communication manager at Oikocredit International had heard about the use of Scrum for communication. She was eager to familiarize her team with this agile methodology to work on communication projects in a constantly changing environment. She approached Petra de Boer to give a Scrum introduction to her team. After the training she immediately started using the Scrum methodology for a new project. When she became responsible for a new department, she also organised a Scrum training for her new team. People are quite happy to be applying a method that is both visual and provides a structured way to interact and move forward. Four months later Oikocredit is now running three projects using Scrum. Because all three run across continents, they started using an online scrum board, upon Petra’s recommendation. Recently they invited Petra for the third time to ‘inaugurate’ a group of international colleagues from Africa, Asia and Eastern Europe into Scrum.